Lenses tend to be an afterthought for new photographers. 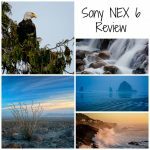 Most of us, whether we shoot nature, landscape, or any other subject, simply do our best with the equipment that we have, which usually means using whatever came bundled with our camera when we bought it. More than likely, the lens that was included will be a standard short zoom lens, but if you’ve ever laid eyes on a camera store’s display case, you may know that the choices available border on mind-boggling – there are 155 lenses in Canon’s lineup, about the same in Nikon’s, and going on 200 in Sigma’s, not to mention the other third-party brands. 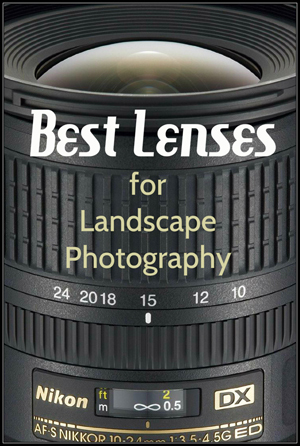 Because of the immensity of the selection available, a lot of people are hesitant to start asking questions about which are the best lenses for landscape photography. The truth is, though, that your photograph is influenced much more by your lens than by your camera. Sharpness, contrast, depth of focus, clarity, and detail are all determined almost exclusively by the glass; it forms the image, while the camera simply captures it. While it may seem absurd to spend more on a lens than on the camera itself, most photographers agree that they would always prefer a cheap camera with a quality lens, rather than the other way around. And because they don’t depreciate in price as quickly, the investment is far more worthwhile. So how to make sense of all the different types of lenses and – more importantly – how do you know which one you need? 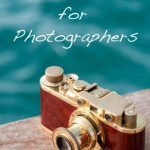 In this blog I focus mostly on nature photography, and landscapes in particular, so let me give you an idea of what to look for in a good landscape lens. The first designation of a lens is its focal length, which determines the lens’ angle of view. This can be thought of as its level of zoom, and is expressed in millimeters. A longer focal length will be denoted by a higher number and will have a narrower angle of view, making the frame appear more zoomed in. Conversely, a short focal length will have a small number and a large angle of view, allowing wide, panoramic shots. Ranging from 4mm to 20mm, these lenses have extremely large fields of view. Fisheye lenses fall into this category. Such a stretched perspective can often cause bending and distortion towards the edges of the frame. Anything between 21mm and 35mm is a standard wide angle lens, and are the most common focal lengths. They are versatile and allow pictures to be taken close up to a subject while minimizing distortion and still including the background. 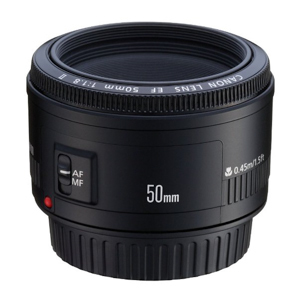 50mm is known as a “normal” focal length because it sees with roughly the same perspective as the human eye. However, this category can include lenses ranging between 35mm and 60mm, which give a very realistic look. At around 75mm we start to get into “long” lenses – ones that zoom quite far, enabling you to shoot your subject from a distance. They are better for isolating details of a scene, rather than fitting a lot into the frame. 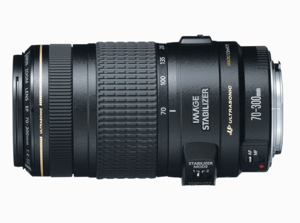 Anything up to 150mm is considered a standard telephoto lens. Any lens over 150mm is a super telephoto – including extreme telephotos which exceed 400mm and are hard to come by. These are used for isolating small details at a great distance; they are usually used for photographing wildlife, but can also be utilized to make very unique landscape images. Regardless of focal length, all lenses can be divided into two basic camps: zooms and primes. 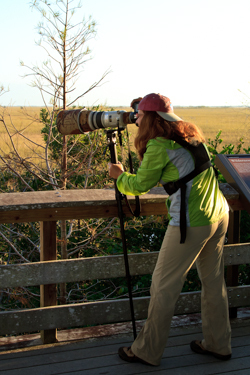 Zoom lenses have a variable focal length, zooming in and out to be longer or wider. They are marked with a focal length range, for example 18-55mm or 70-200mm. Many photographers like these lenses for their convenience and versatility. 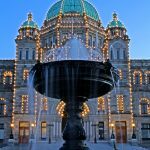 Prime lenses, though, don’t zoom at all – they have a fixed focal length, and you must move closer to or further from your subject in order to get more or less in the frame. However, because they are simpler designs, they are often cheaper and produce sharper images, making them preferred by many professionals. The second mark to look for on a lens is its maximum aperture, or the widest f-stop it can achieve. 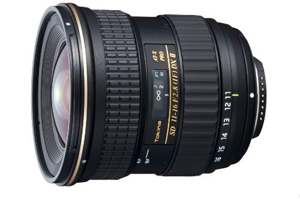 For prime lenses and some higher-end zooms it will be a single aperture, such as a 50mm f/1.8 or 70-200mm f/4. On many zoom lenses, though, the maximum aperture will vary with the focal length, such as on an 18-200mm f/3.5-5.6: when the lens is zoomed out at 18mm, f/3.5 is the maximum, but it shrinks to f/5.6 when zoomed in to 200mm. Because landscape photos are usually made using smaller apertures anyway, the maximum size is less important than in portrait, macro, and wildlife photography where large apertures are needed. Long focal lengths are called that for a reason – they are longer, larger and heavier than their wide-angle counterparts. This is an important factor to consider if you’re going to be hiking, biking, camping, or in any way carrying your camera gear around for great lengths of time. Because of the weight and magnification of large lenses, they can be hard to hold steady, and may need to be balanced on a tripod to get a still shot, adding yet more weight to your pack. Of course, the focal length isn’t the only thing that will increase the girth of a lens; zooms, large apertures, and image stabilization, among other things, all add some bulk. To confuse your further, not all cameras see the same. Focal lengths are calculated based on the 35mm film standard-size frame, but the image sensors on basic consumer-level cameras are slightly smaller than that (“cropped sensor”, they’re called, or “APS-C”). Therefore, while the lens’ perspective and compression will be rendered the same, the frame will appear slightly more zoomed in because the small sensor crops off the edges of the image. This makes getting an extreme wide angle difficult on these types of cameras, and is why many standard lenses are made wider (starting around 18mm) to compensate. If you have a cropped sensor camera, multiply your lens’ focal length by 1.5 to get it’s “effective” (apparent) focal length. This means that an 18mm lens on a crop sensor will end up looking like it’s 27mm. Of course, if you have a higher-end “full frame” camera with a 35mm-size sensor you don’t have to worry about that. However, some cheaper lenses are made exclusively for cropped sensors and won’t work on full frames, so you’ll have to learn which ones to avoid for your brand. There are other specifics that distinguish lenses from each other, but the things we discussed here are the essentials: focal length, maximum aperture, and prime vs. zoom. Modern lenses will also have a string of initials behind them which stand for different types of glass, auto focus motors, image stabilization, and other technologies, but let’s not worry about those for now. Traditionally, landscape photographers have always loved wide angle lenses. They fit huge scenes into the frame with a panoramic point of view, emphasizing the sky and the distance with great sharpness. What size is my sensor? If you have a crop-sensor camera, you’ll want a lens that is a little bit wider than you think you need. If you have a full-frame, find out which lenses won’t work with your camera (Nikon’s DX Canon’s EF-S lines) and avoid them. Likewise, small Nikon bodies (without the top LCD) have no auto focus motor, and need a lens with the AF motor built in. What perspective do I want? Are you looking to pack the whole world into a single image with a wide-angle lens, or do you prefer to seek out smaller details with a telephoto? Perhaps you want to show things exactly as they are, with the realism of a normal focal length lens. If you want the best of both worlds, you might need two lenses – or you might need to look into a zoom lens that can do both wide and long shots. How far do I need to carry this? 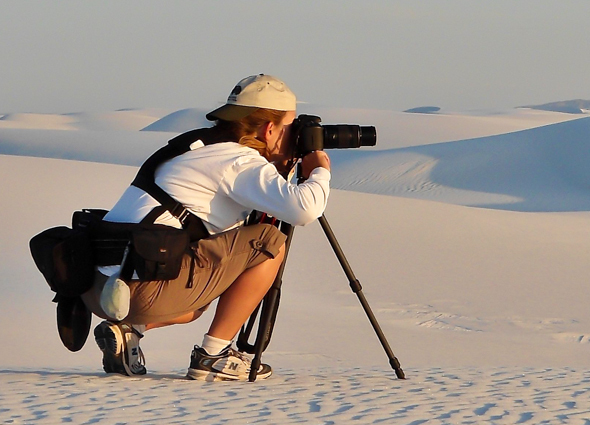 If you take your camera on long treks through the wilderness, a big heavy telephoto zoom lens might not be for you. Consider something lighter, like a smaller zoom or prime lens. Lenses can get very expensive, so set yourself a baseline of how much you want to spend. 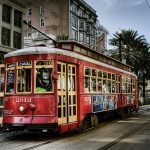 There are great options available for almost every price range, but there’s no sense wasting too much time looking at lenses you can’t afford (we all know that pain!). What brand do I need? The lens you buy has to match the mount for your camera – if you own a Canon DSLR, you must also buy a Canon-mount DSLR lens. However, that doesn’t necessarily mean that you have to buy a Canon brand. There are several third-party companies such as Sigma, Tokina, and Tamron that make lenses for every make of camera, and they tend to offer different choices at a cheaper price. I’ve used quite a few different types of lenses over the years, and have seen the results from others that I haven’t had the good fortune to try yet. When you’re shopping, keep an eye out for these highly-regarded lenses. This is in my personal kit, and is my go-to lens for ultra wide angles. It is a high quality, low cost option with sharp image quality and very little distortion. It is also available with a constant f/3.5 aperture for a little more money, but since I shoot landscapes with a smaller aperture anyway, I find it unnecessary. 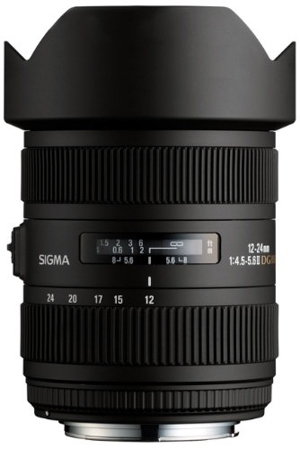 It’s made by Sigma, and so is available for all DSLR camera mounts, including Sony, Pentax, and Olympus. Canon’s version of the above lens. It is extremely clear, with great contrast and low distortion, but is little higher priced than the Sigma and will only work on Canon bodies. 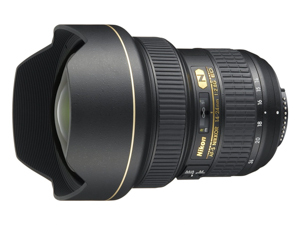 And Nikon’s version as well – an excellent lens, and very comparable to Canon’s, but even more expensive. And, of course, is made for Nikons only. Another third-party lens available for all mounts, and probably the most highly recommended ultra wide angle lens for cropped sensor cameras. Not only is it super sharp with virtually no distortion, but it has a constant f/2.8 aperture, making it versatile and useful indoors as well. 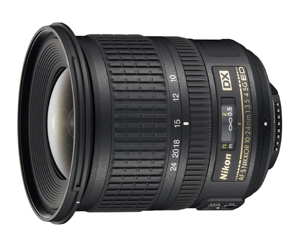 A great standard wide angle for Nikon users on a budget. 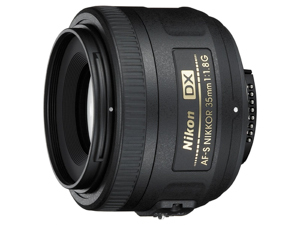 Has a wide aperture, making it great for all kinds of uses in all kinds of lighting situations. The widest option available for a full frame camera, this third party lens has excellent image quality and is available for all mounts. This falls under the “professional lens” category, and its price reflects it. Its image quality is impeccable, with an amazing field of view and no distortion whatsoever. This is the holy grail of wide angles for Nikon users. Another professional lens that offers gorgeous clarity and contrast, for a pretty penny. Falling right on the border between ultra-wide and regular-wide, the 20mm is a standard, inexpensive lens with great coverage. My personal favourite lens, and the one I use most often. The incredible range and versatility make it useful for almost any situation. 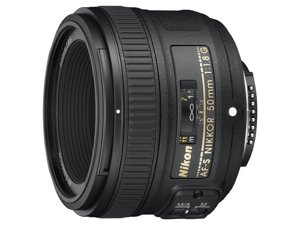 It is the standard lens packaged with the 5D, and thus can often be purchased relatively inexpensively. 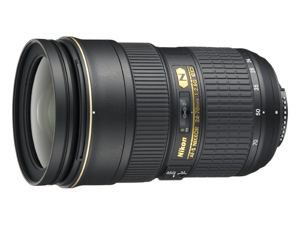 The second lens in Nikon’s professional “dream team” lineup, offering a moderate wide angle to telephoto with the best image quality of almost any lens, ever. A must-have for every Canon user. This lens is the cheapest available and very sharp, with a wide aperture for low light. Great to have for almost every kind of photography, including more detail-oriented landscapes. Not quite as inexpensive as its Canon counterpart, but still very affordable and just as crucial for a complete kit. It produces extremely sharp images, comparable even to the more expensive 50mm f/1.4G. Most people recommend any of Canon’s more professional 70-200mm lenses, but I prefer the extended range of the cheaper 70-300, which makes it useful for landscapes as well as wildlife shots. Since I usually shoot in daylight or on a tripod, the small aperture doesn’t bother me, and I’ve been very impressed with the overall image quality for the price. Again, the Nikon version of the previous lens. Great quality for a low price, and covers the rest of the range you’re likely to use. The best way to choose a lens is to take your camera into your local photography store. Any decent shop will allow you to try lenses out on your own camera. Or you can rent a lens and spend a weekend with it before you decide to buy. 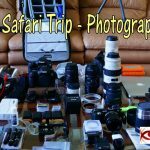 By doing this, you not only solidify your understanding of different equipment through first-hand experience, but also to ensure that the lens you choose is fully compatible with your camera body. 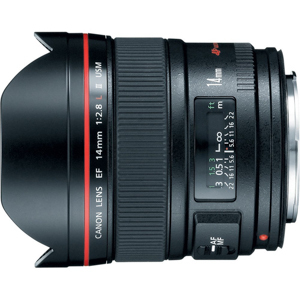 Canon 14mm f/2.8L. It really has no distortion whatsoever? I’m a Canon man and your thoughts on the 50mm f/1.8 are echoed everywhere. I took the plunge and have to say for the money, you can’t beat it. 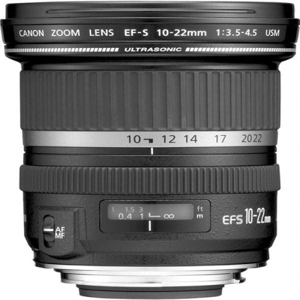 I also have the EF-S 10-22mm which is also an essential addition to anyone’s kit if your serious about landscapes. I can also vouch for the IS version of the 70-300mm. Wow, what a complete list broken down in plain English. Next on my list is a fast fixed focal length lens. 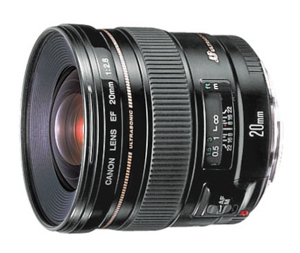 I agree my current go to lens is the Canon 24-105mm f/4L. It does so many things well. 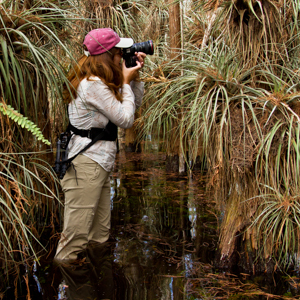 I agree with you regarding the lens being the most important piece of equipment in your pack. The body is just a collecting receptical for the work done with the lens. So glad to hear all is well, and you are BACK!! I’m impressed with the eagle in the previous blog. I bought a 5D II in Jan 2012 for a trip to China. It’s good, better than the photographer! But it’s also heavy, (I use the 24-105). And I have added a Gitzo tripod and ballhead, so a lot to carry. Did you use a tripod for the eagle? I spent several hours in the market on Tahiti in Sept, without a tripod. The results have been underwhelming in the majority due to a too slow shutter. Since it was 5am, the light was poor – should have upped the ISO more. Anyway, thanks for the latest on lenses – your info is excellent for this newbie. Love the Canon EF 50/1.4 and the EF 70-300 f/4-5.6! Despite the latter being non-L and not weather sealed, I swear from the photos I’ve made there’s gotta be L-like glass/construction in that lens. Thanks for your post, Anne! Just one heads up, regarding the Nikon 70-300, its important to stress the VR version, the older non VR is NOT a good lens…..
You did not mention the Nikon 70-200 2.8 or the 80-400 4.5-5.6. These top end Nikon lens are super sweet. Have a very fast auto-focus. You also did not mention TC (tele-converters)which extends the range. One thing I have noticed that does not get mentioned and discussed is refraction and how a small aperture greater than f/20 can reduce sharpness. As a landscape photographer, I went for the big depth of field. Then I found out that getting everything in focus, does not necessary mean it is sharp. When you discuss lenses, I believe it is important to understand that each lens has a sweet spot. That often is less than infinity and some where between f/8 and f/16. As for lenses – if you have a crop factor camera and can afford it, buy a full frame lens. Just about all full frame lenses work on crop factor cameras but the opposite is not always true. When you are ready for full frame, you will have the lenses to go with. Will you buy a full frame? The prices are falling. One thing to know, the bigger the sensor, the better the images. I am so pleased you are okay. These stressful situations make you appreciate life even more. I too have had these scares. They wreak havoc with your nervous systems. Be reminded that which does not kill you makes you stronger. Great article, Anne, and so glad to learn that you’re okay. That was quite a scare. I didn’t realize that it would take so long for the tests and results, and I thought that not hearing from you for such a long time meant bad news. Thankfully, you’re okay. That sure must have made your anniversary and birthday all the more worthwhile. Many thanks Anne.Your comments are excellent and make choosing a new lens that much easier.Thanks so much for sharing your knowledge and expertise with us. Happy Christmas and may you stay well 🙂 Cecilia. Nice article. I thought you and your readers would like to know that Tamron is coming out in Jan 2014 a 150-600mm IS lens which will sell for around 1100.00est. Since it is newer technology it should be a cost effective alternative to the more expensive lenses in this category. you missed the Nikkor 24-120 mm 4.0 G zoom. While not as exhilarating as the 28-70 mm 2.8, you get for roughly a third of the price a zoom lens with more range, which is very appreciable if you need to do wide angle and short tele at the same time, like capturing the beauties of the Haro Strait and shooting some orca whales. The F 4 is of course more limitating than 2.8, but it’s a fixed full aperture that won’t change your light metering while zooming. And with today’s sensors, one more aperture stop is after just one stop that your ISO can handle. I like to use it nearly at all times, because it’s so versatile. Small distortions can easily be fixed in Lightroom or Capture NX2. I also rented the 14-24 mm for a weekend in Berlin, and I won’t regret it. But it’s just too expensive to add to my permanent outfit. But it sure steals the show. Terrific article, Anne, I really appreciate all the details you’ve included here. Great writing style, very easy to follow along. Terrific piece! very good article. I have owned a number of cameras and a number of lenses. The long and the short of my experience is that you buy the best lens you can afford Having owned sigma dgex and tameron lenses, for pure sharpness I cant beat my Canon EF 24-70mm f/2.8L II USM or any of my Canon Lens on my 5D. The sharpness seems to be directly related to the quality of the glass. I don’t know about the Nikor lens but have to assume the same. Thanks again for you blog and information. Its very interesting and helpful! Many thanks Anne. Im about to purchase a wide angle lens as I love my landscape photography and am just starting to get out there and have a go. It is so confusing selecting a lens as a novice hoping you pick right so as not to waste money. I was looking at the Canon 10-22mm lens and the Sigma. My heart says Canon but my budget is screaming Sigma. Thanks for making it easier to pick the right lens and I hope my mind stops fighting now so I can purchase soon! 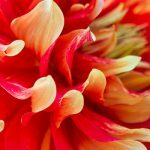 Loving your beautiful photography! Haha, I know exactly what you mean. I went through the same thing with Canon vs. Sigma, but my wallet won out and I have been happy with the Sigma. i cant make up my mind between canon 70-200mm and canon 70-300mm for landscape.could you suggest. Wow, what a comprehensive guide! Very true that you can’t overlook the lens! Thanks for sharing! What a great article. Very informative and to the point. I will definitely use your suggestions when I purchase my next lens. Thanks. Thanks Brian, I am glad you found it helpful. Great article. I used to shoot with Nikon’s 24-70mm, until I bought their new version of the 24-120mm. It’s now my primary landscape lens. I like you have specialized in wildlife and landscapes and early on I decided to by the best glass, so I got the EF100-400L for wildlife. 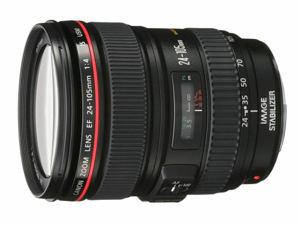 My next major was the EF 24-70L f/2.8 for close work or landscapes. I had only gone to the Canon XSi for my camera but later moved up to the 7D so now that is my full backpack that goes everywhere with me. If I see a landscape while driving to or from a wildlife shoot, I just switch lenses and break out the tripod and am ready to shoot. I also went with enough graphite tripod to handle the EF 500mm L lens that I hope to get someday. I may change bodies to better but I think I have bought glass for a lifetime unless I can do the 500mm. When I first started I bought my body and a sigma lens and was happy until I tried the Cannon L’s but then I realized that nothing can compete and went all in, but they are cheap compared to the years I will get from them. I have on occasion shot landscapes with the EF 100-400mm, usually at 100mm or so and they do a great job but the 24-70 on a crop sensor is a really nice coverage range for landscapes. Good article though. Nikon full frame shooters should NOT discount the very fine 16-35 f/4 as a landscape lens choice. 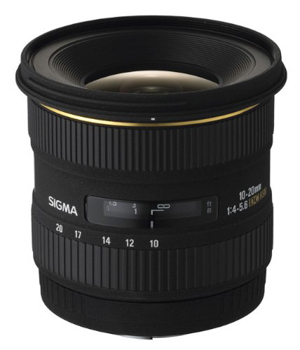 Glad to see you recommend the Sigma 10-20mm, I just purchased the F3.5 constant. Another great sharp lens would be Tamron’s 24-70mm Di VC. Just love it! Anne – Do you have any experience using older lenses that require an adapter to mount onto DSLR cameras? I have several Pentax M42 screw mount lenses from my 35mm film camera that I would like to try using with my Canon T2i DSLR. I know they make inexpensive M42 to Canon mount adapters that I have found on-line. My eye sight is not what it used to be for manual focusing so thought the mounts that contain the “autofocus confirmation chip” might be good to provide an audible or visual cue for achieving a good manual focus. In theory it sounds good, but I have no idea how well they actually work (plus they all seem to be made in China so quality may be suspect). Any ideas or recommendations for good quality mounts available for using my old lenses on my T2i? Thanks. or are you just assuming that as it is true for you (I assume it is!) then it must be true for others? Because it is not. I for one have never bought a camera with a bundled “kit” lens. Yes! Just ask anyone who works for a camera store! Most people use the lens that is bundled with the camera. My personal favorite two landscape lenses on full frame are the 40/F2 Voigtlander and the 85mm/1.8D Nikkor. Two outstanding lenses incredibly sharp, great contrast & color. I do have an ultra-wide (20mm/F2.8 AIS), but the other two are the most used. The 20mm just puts the background out too far. Things look tiny. 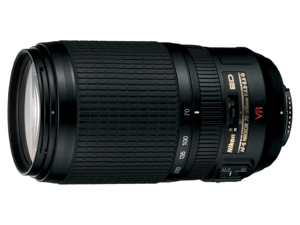 You mentioned Nikon 14-24 but forgot to mention about Tamron SP 15-30mm f/2.8 Di VC USD, world’s first f/2.8. What would be your opinion on this?